Day 3 on the paleo bandwagon went superb (when was the last time you read that word?!) minus this stupid headache that won’t go away. I can’t decide if it’s from being sick or from not eating my beloved carbs/sugars. Either way it needs to bounce. I managed to eat entirely paleo yesterday despite being at the one place I normally mindlessly snack on crap the whole time… the kiddo’s house! 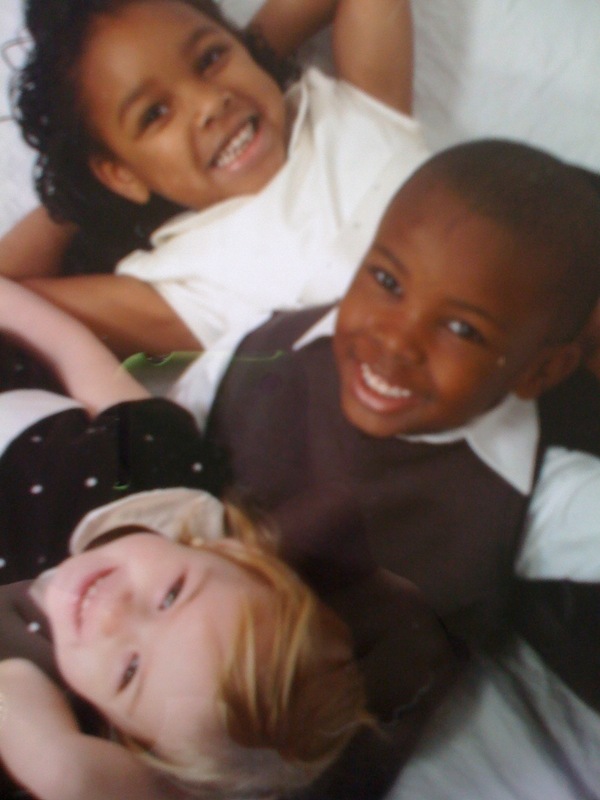 The kiddos are three kiddos (go figure) who I’ve been nannying/babysitting for about 7 years now. Love them and their momma, but their house is always filled with cheap, processed, and totally delicious foods that I never buy because I will eat them all. No doubts about it. I didn’t eat a single thing yesterday. Not one bite. I’m pretty impressed with myself (and you should be too). I brought dinner from home to cook for myself and Cj. T’was good, but not the best. Next time I’ll definitely be using a different spice mix. I don’t like curries that taste cinnamon-y. 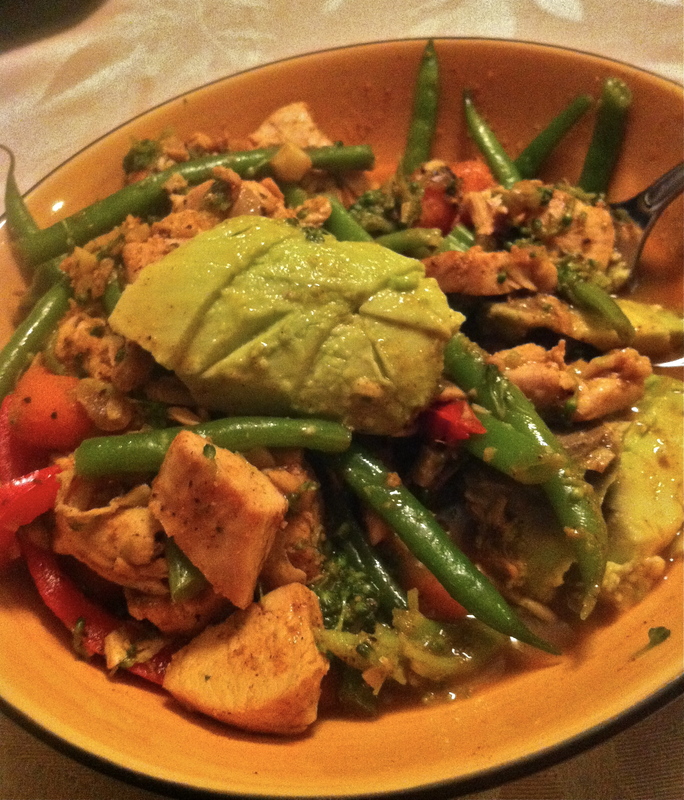 It had broccoli, carrots, string beans, and some shallots/garlic along with grilled chicken, coconut milk, and avocado. Like I said, it was’t bad. Filled me up, that’s for sure. After dinner I drugged the kids (aka melatonin) and before I knew it they were sleepily watching a movie on the couch and Cj had passed out on the momma’s bed. Not a bad night, especially when I got the $130 paycheck (it was a loooong shift). Time to go blow the cash on some groceries. Yippeeeee. The headache is more than likely because of your change in diet. Stick it out, drink lots of water and then some more. You’ll feel better soon! I’m drowning in it! haha thanks 🙂 !